Melissa Suzanne McBride was born on the 23rd May 1965, in Lexington, Kentucky USA, and is an actress especially known for her role of Carol in the television series “The Walking Dead” (2010 – present) originally aired on AMC. 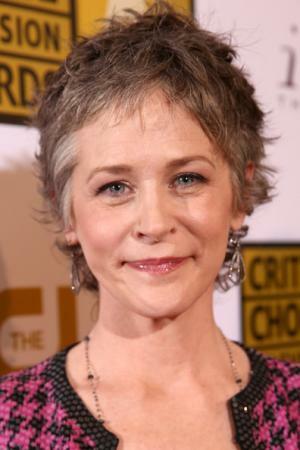 Melissa McBride has been active in the entertainment industry since 1993. How rich is the actress? It has been estimated by authoritative sources that the outright size of Melissa McBride’s net worth is as much as $3 million, as of the data presented in mid-2016. To begin with, McBride was raised in Lexington, Kentucky, but moved to Atlanta, Georgia in the middle of the 1980s, and began her professional career in 1991. Before fame, Melissa worked in a number of commercials, advertising such stores as Rooms To Go and similar, and was a spokeswoman from Ford for a few years. She made her debut on television in 1993 on ABC in an episode of the drama series “Matlock”. Later, Melissa McBride co-starred in several television series, including “In the Heat of the Night” (1994), “American Gothic” (1995), “Profiler” (1996), “Walker, Texas Ranger” (1997) and “Dawson’s Creek” (1998, 2003). In the latter, she played Nina a cinephile that enchants Dawson after the breakup with Jen, in an episode called “Road Trip” in 1998. In 2003, she returned to appear in the final episode of the series, yet playing a different character. To add more, Melissa has also created characters in television films “Her Deadly Rival” (1995), “Close to Danger” (1997), “Any Place But Home” (1997), “Nathan Dixon” (1999) and “Pirates of Silicon Valley” (1999). All contributed to her net worth. In 2010, McBride was taken to the cast of the television series “The Walking Dead”, based on the homonym of comic book series, playing the role of Carol Peletier, a sensible middle-aged woman, the wife of an abusive husband and caring mother to her daughter Sophia. She loses both in the course of the series. She was a recurring cast member in the first season, but was promoted to regular actress from the second season. McBride received critical acclaim for her performance and received generally favourable reviews from critics during the third and fourth seasons. Many critics have praised her performance in the episode “The Forest” in the fourth season, centred on her character. In 2014, McBride was a possible nomination for an Emmy Award as the Outstanding Lead Actress in the category of drama series. For her performance in the fourth season, McBride won two Saturn Awards for the Best Television Actress as well as the Satellite Award for the whole cast. Furthermore, McBride added sums to her net worth working as a casting director. She was involved in the films “The Last Adam” (2006), “The Promise” (2007), “Golden Minutes” (2009), “This Side Up” (2009), “The Party” (2010) and “Broken Moment” (2010). Finally, in the personal life of the actress, she is still single, and there is no rumour of any relationship. There were rumours flying that she has a cancer, but the actress has denied it. Place Of Birth Lexington, Kentucky, U.S.
1 Actually, I've gotten myself into some difficult places because I thought I could fix somebody. 1 McBride was born in Lexington, Kentucky. 2 McBride began her professional acting career in 1991 in Atlanta, Georgia. 3 McBride guest starred in several television series, including American Gothic (1995), Profiler (1996), Walker, Texas Ranger (1993) and Dawson's Creek (1998). She also starred in several short films, and appeared in Lifetime movie Living Proof (2008) in 2008. 4 McBride worked as a film and commercial casting director in Atlanta, Georgia from 2000 until 2010. 5 Melissa McBride was working as a commercial casting director in Atlanta, GA. from 2000 until, in 2010, when unexpectedly offered the role of "Carol Peletier" in AMC's The Walking Dead (2010); McBride had worked previously with the show's creator, Frank Darabont, three years prior, when cast for a brief role in his feature film, The Mist (2007).